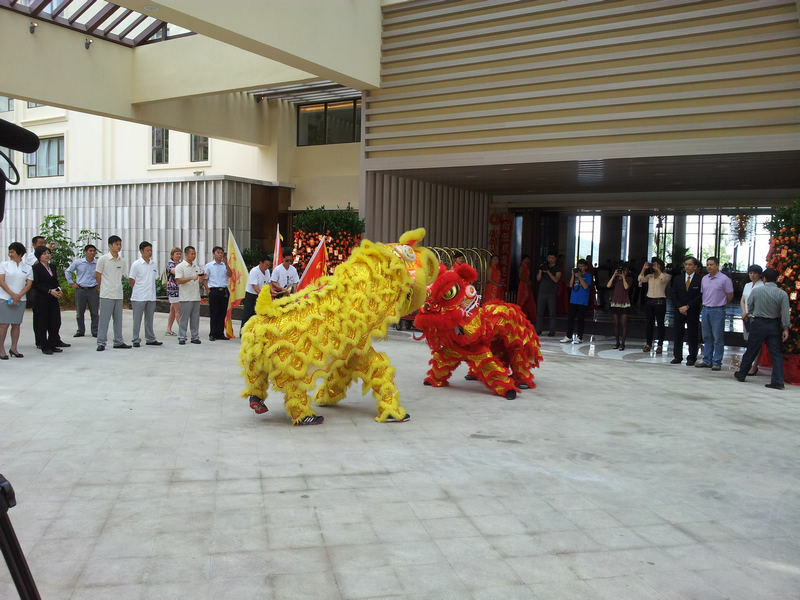 A grand opening ceremony was held for Lan Resort Sanya, formerly operating as the Holiday Inn Resort Yalong Bay Sanya, on 6th February, 2013 in the tropical seaside tourist city of Sanya. Since last July, after the hotel’s official announced to end the agreement with InterContinental Group for Holiday Inn Resort Yalong Bay, the former hotel has gone through an extensive renovation to upgrade it to new standards. The opening ceremony started at 11:00am with the presence of Mr. Danny Cheng, the General Manager of Lan Resort Sanya, the property owner’s representative, Miss Cristal Li, the Vice General Manager of Lan Resort Sanya, hotel major staffs, hotel guests and major media in Sanya. 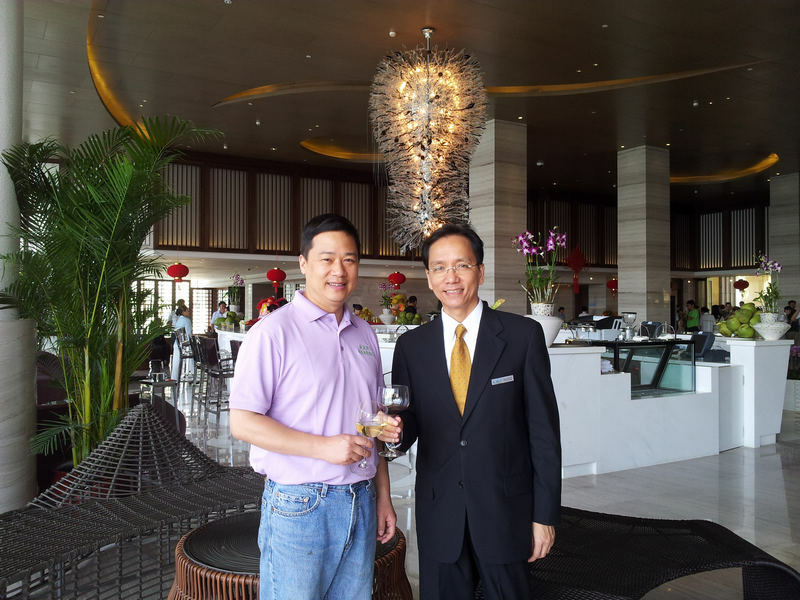 Mr. Danny Cheng, the General Manager of Lan Resort Sanya and the property owner’s representative toast together for the resort’s opening ceremony celebration. After the opening ceremony, the lion dance performers wowed the guests with their stunning performances. This type of dance is a symbol of prosperity in Chinese culture, and the performance signified a prosperous start for Lan Resort Sanya. The Lion dancers’ parading in front of the hotel spread good luck and happiness to everyone. The 356-room deluxe 5-star property enjoys an unrivalled sea view of Yalong Bay, featuring an open lobby, and a larger circular swimming pool with various kinds of programs to entertain the guests. Business facilities will include a 920m2 multi-purpose meeting room and 4 different sized sea view ballrooms.